The ease of going from fully upright to relaxed and stretched out is right at your fingertips. 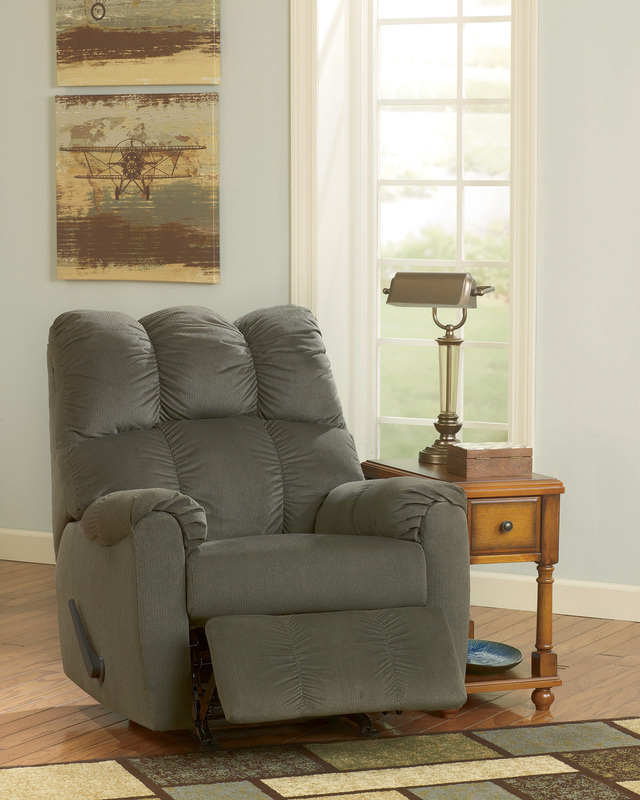 Raulo rocker recliner is made exceptionally comfortable with plush cushioning for everywhere your head, body and feet rest. Ultra-soft polyester upholstery in a soothing, earthy tone makes for an easy blend with other home furnishings.